WHEN: Saturday, Oct. 13 - 8 & 9:30 pm—One very special night only! An die Musik Live is honored to present the music of the late, legendary pianist and composer Randy Weston. 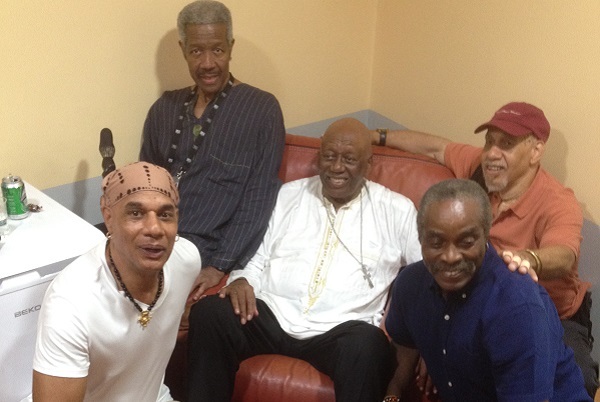 The tribute will be performed by the Randy Weston African Rhythm Quartet. His longtime band members are Alex Blake on bass, Neil Clarke on percussion, and T.K.Blue, saxophone/flute and musical director. Randy Weston (April 6, 1926 - September 1, 2018) was an American jazz pianist and composer whose creativity was inspired by his ancestral African connection. Weston's piano style owed much to Duke Ellington and Thelonious Monk, whom he cited in a 2018 video as among pianists he counted as influences, as well as Count Basie, Nat King Cole and Earl Hines. Beginning in the 1950s, Weston worked often with trombonist and arranger Melba Liston. Described as "America's African Musical Ambassador", he said, "What I do I do because it's about teaching and informing everyone about our most natural cultural phenomenon. It's really about Africa and her music."